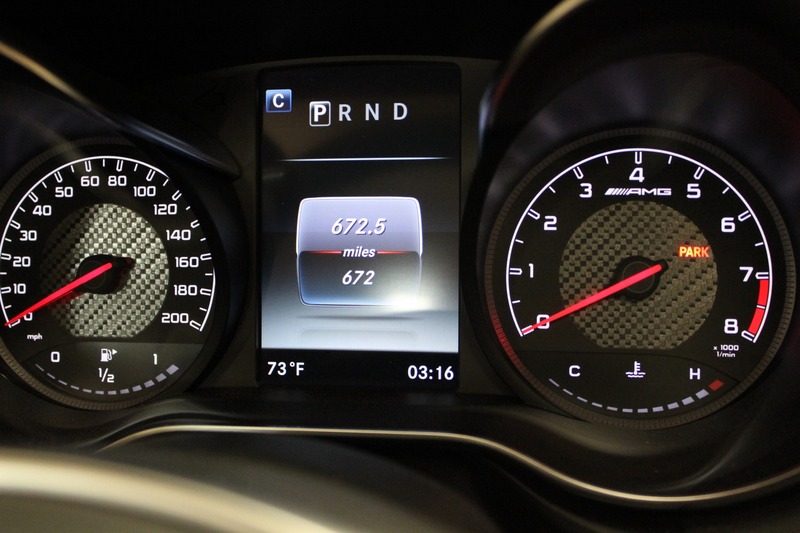 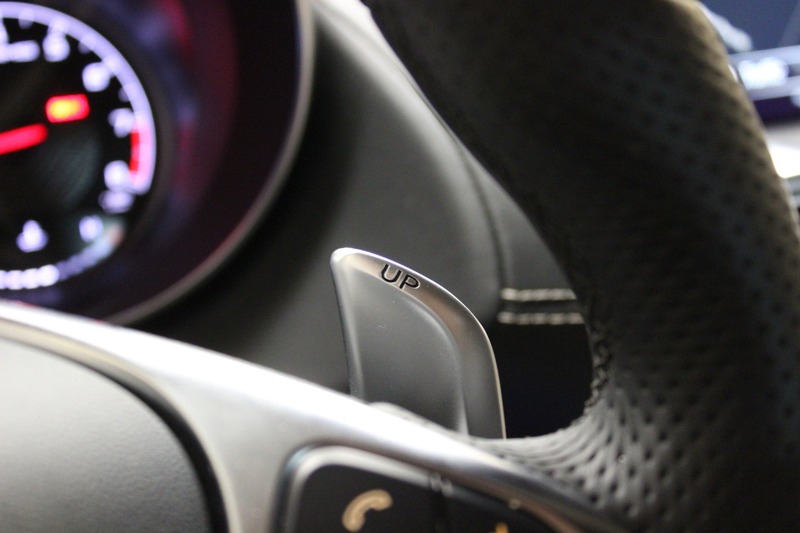 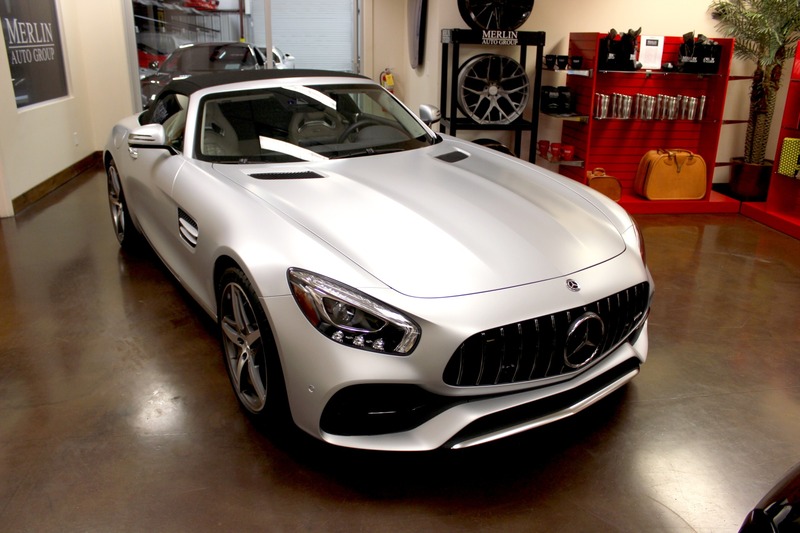 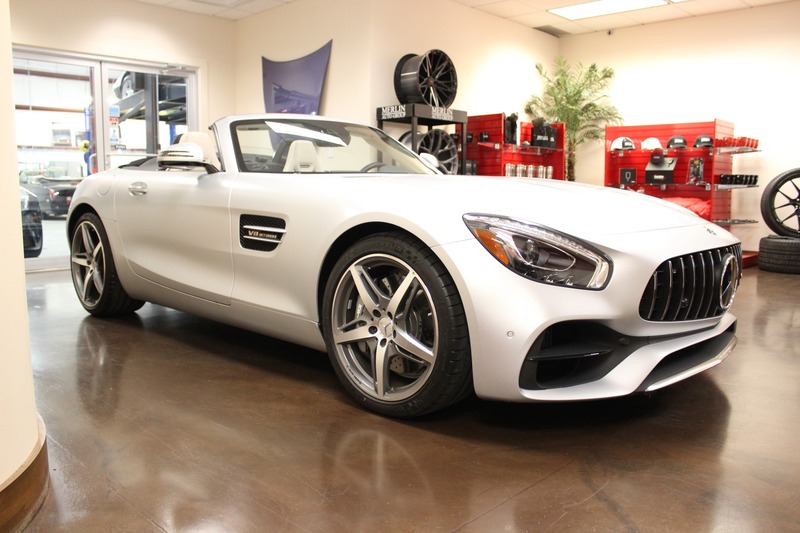 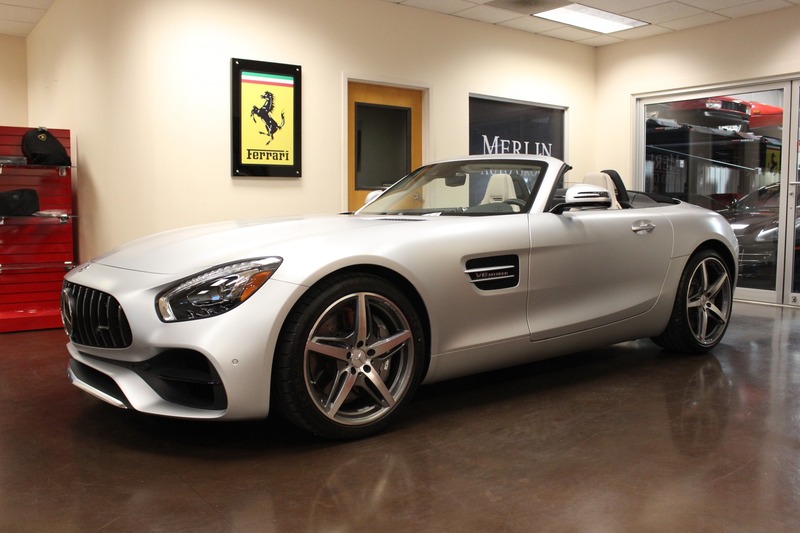 Thank you for viewing this spectacular 671 mile 2018 used Mercedes-Benz AMG GT Roadster for sale. 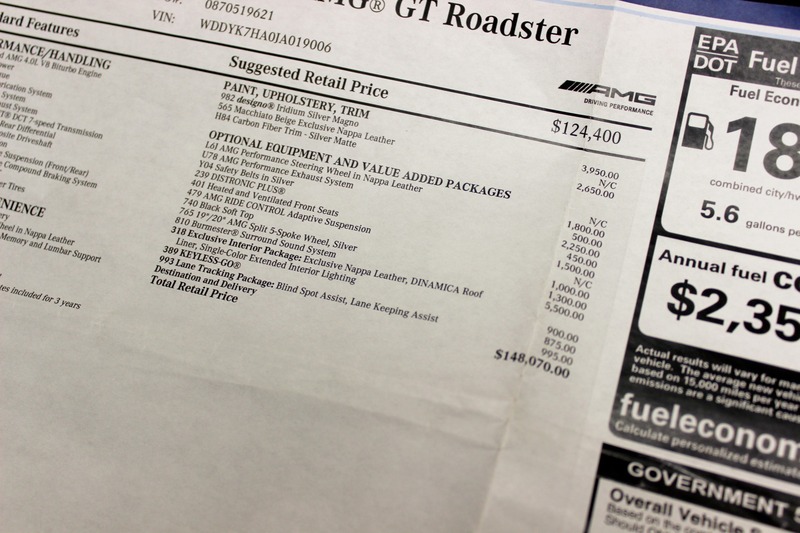 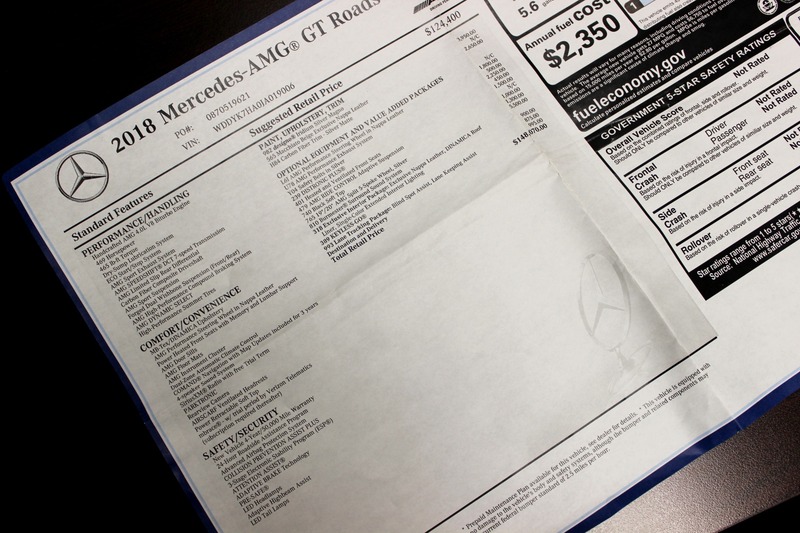 The original window sticker is $148,070. 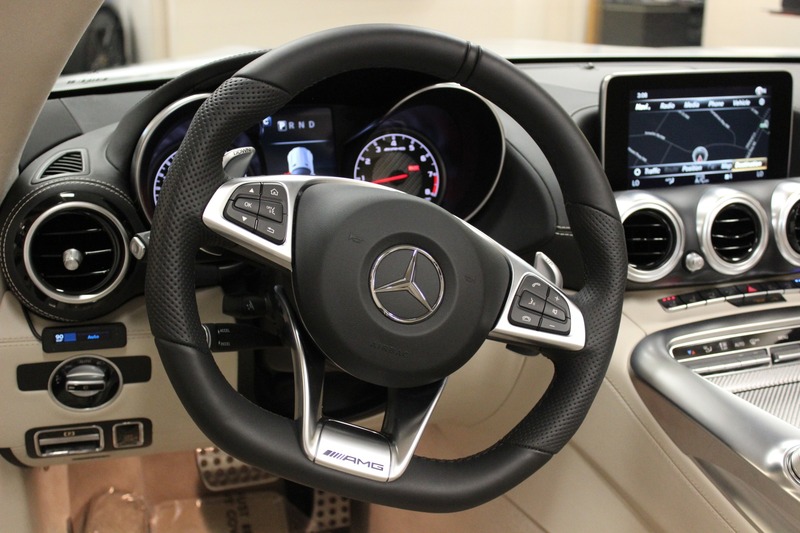 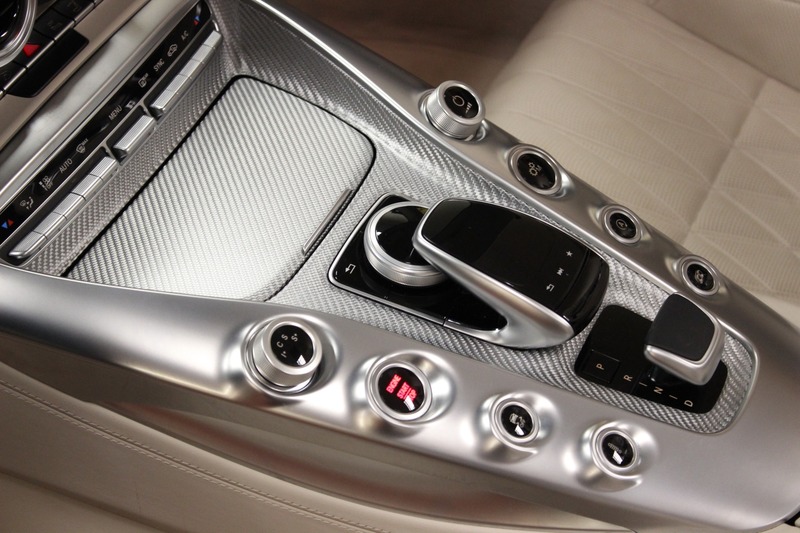 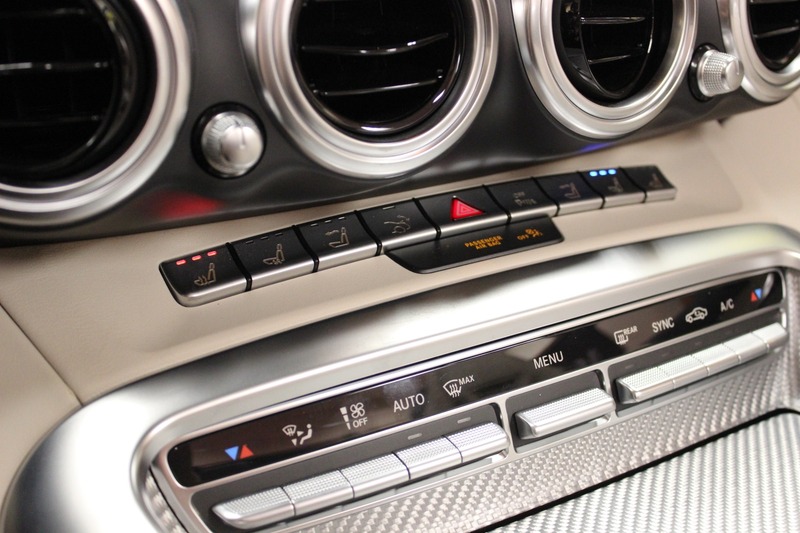 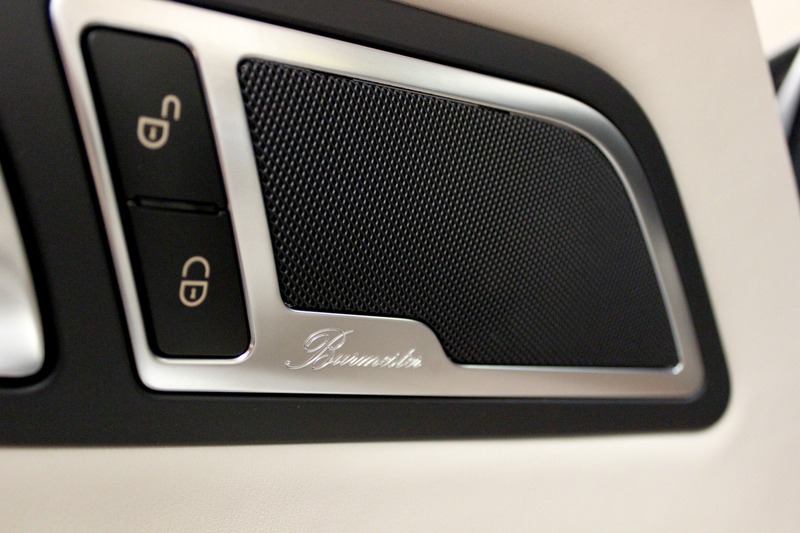 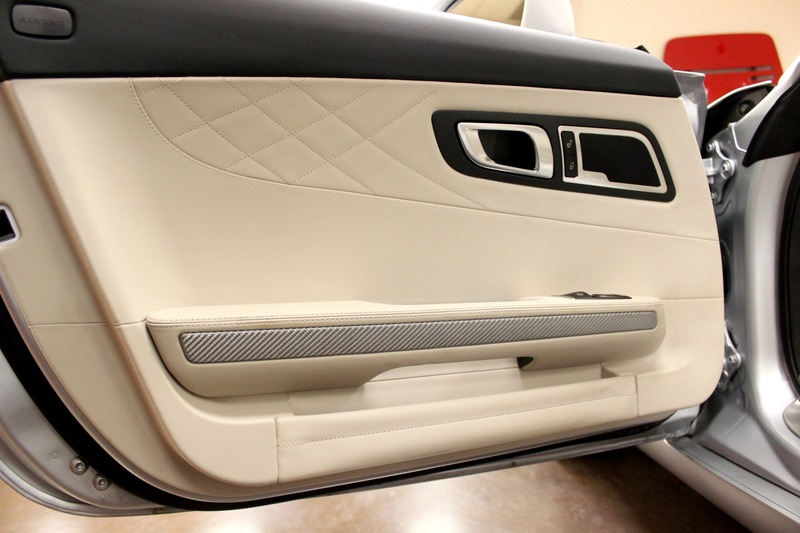 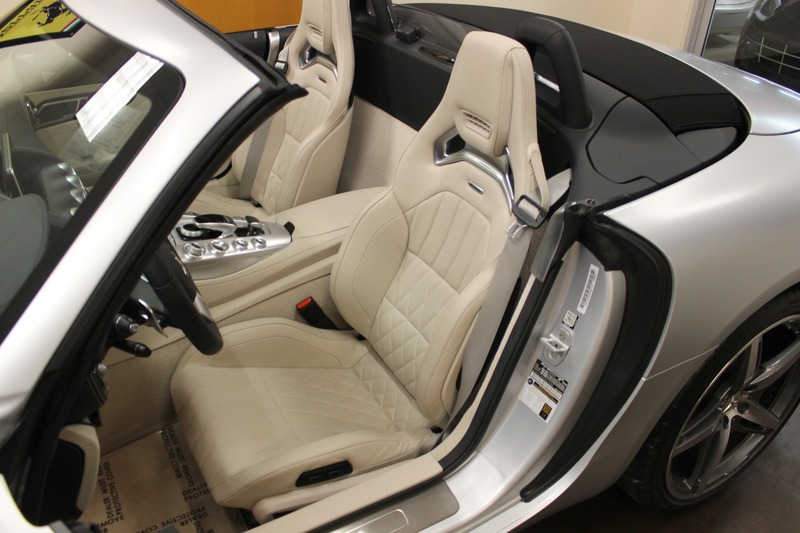 The pleathora of options include: Performance steering wheel wrapped in Nappa Leather, the AMG sports exhaust which spits and gurgles it's way through the gears, Distronicplus, Heated and ventialted seats, Black soft top, Split 5-spoke AMG rims, defining Burmester stereo, keyless go and lane tracking package. 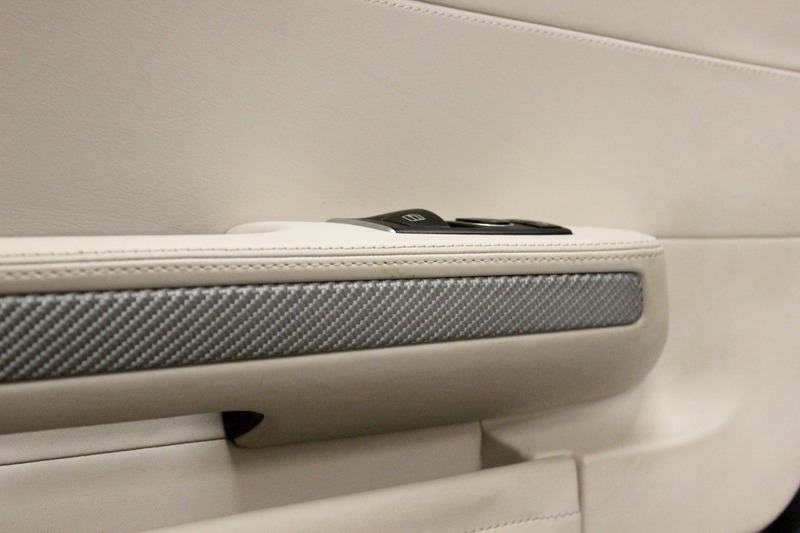 Not to mention, the $3950 Iridium Silver Magno, Macchiato Beige Nappa Leather, and carbon fiber trim ($2650). 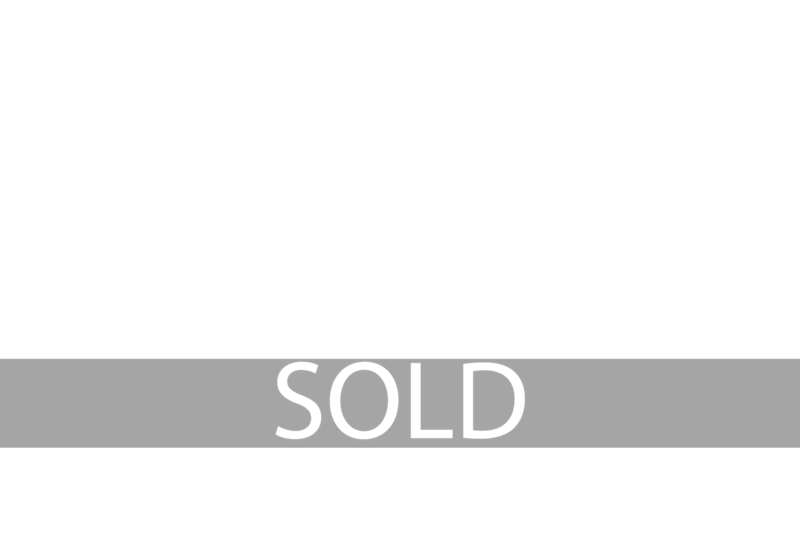 What doe this all mean? 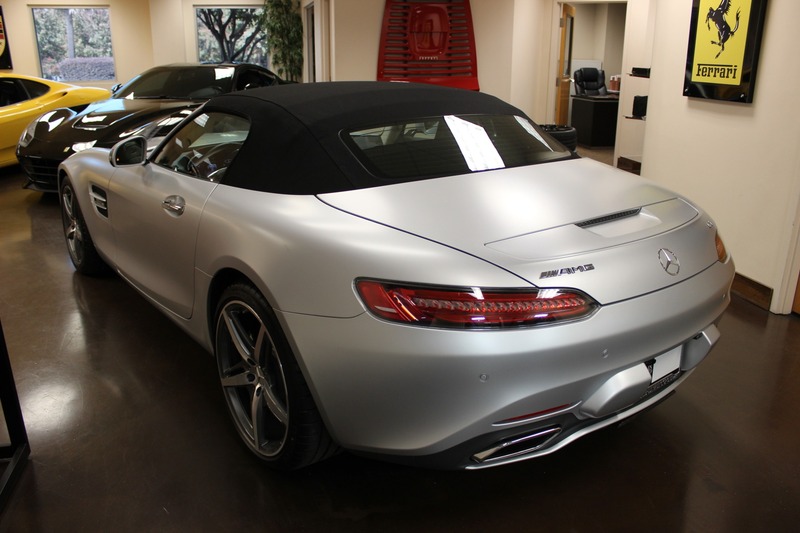 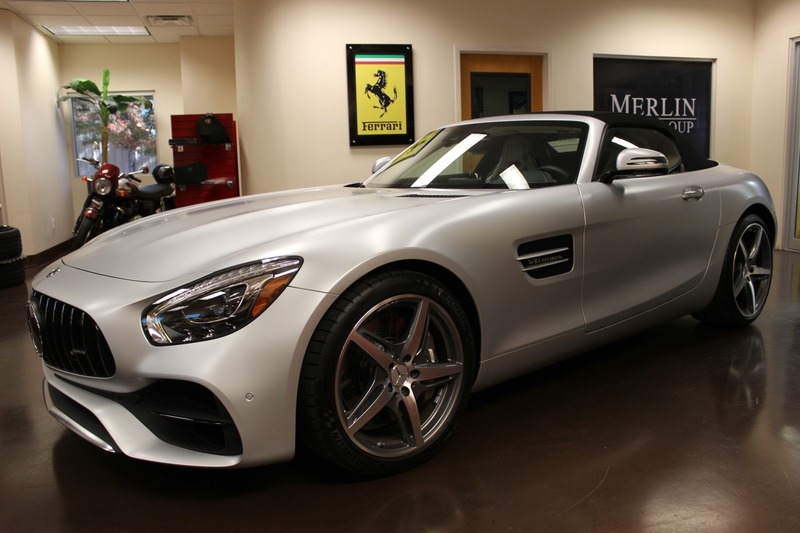 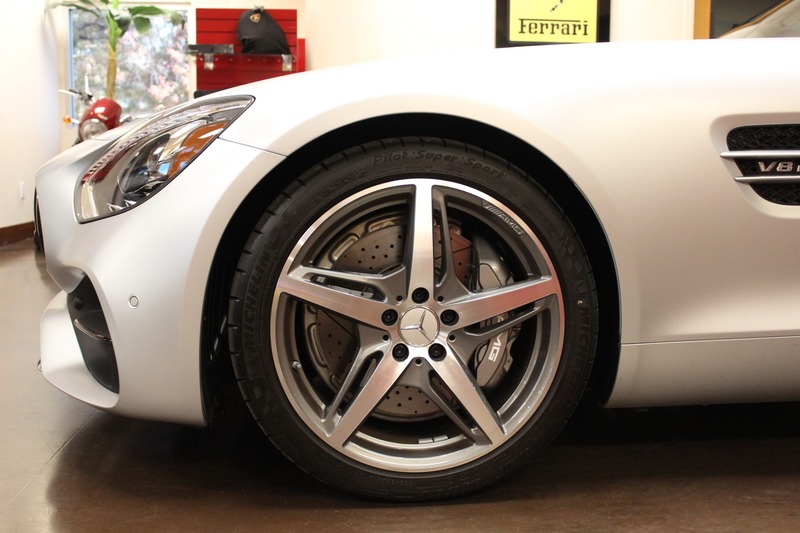 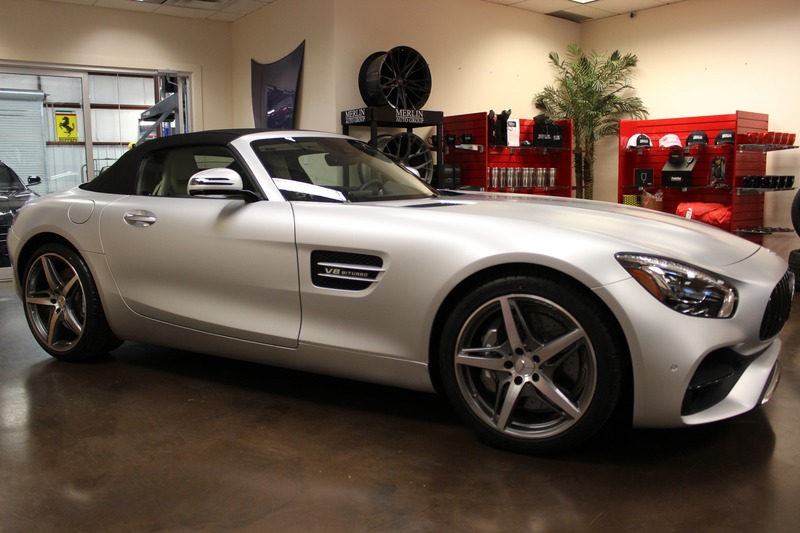 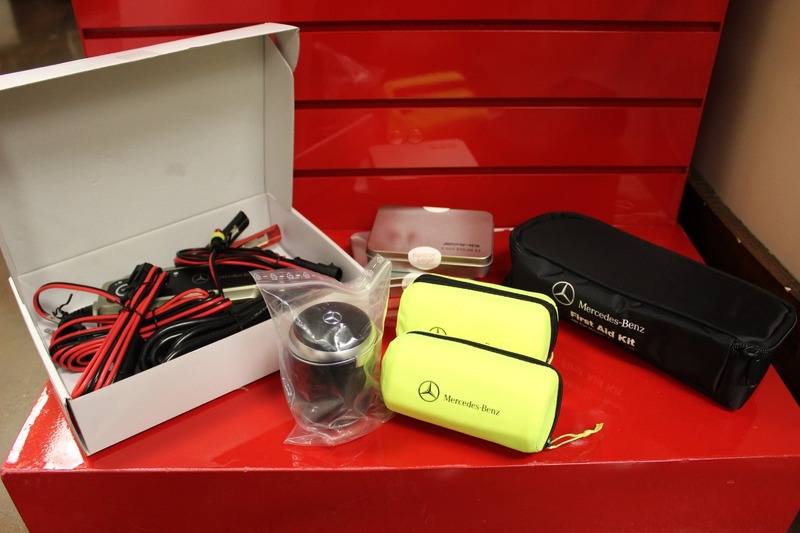 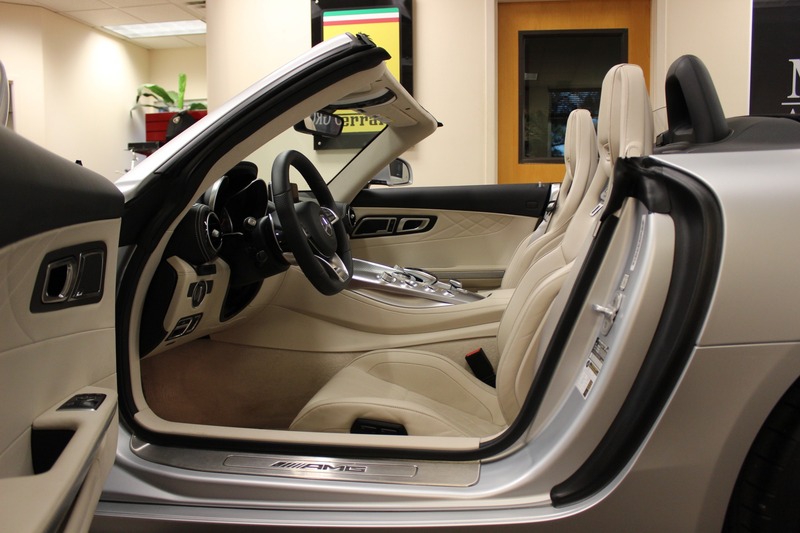 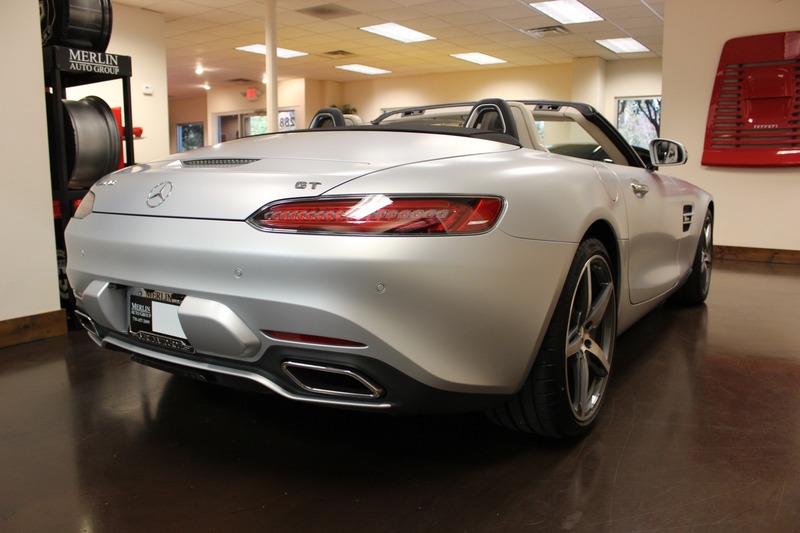 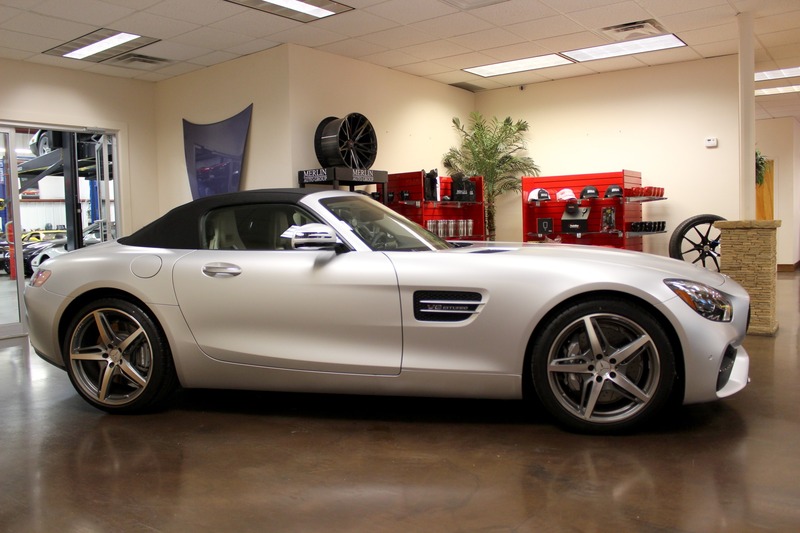 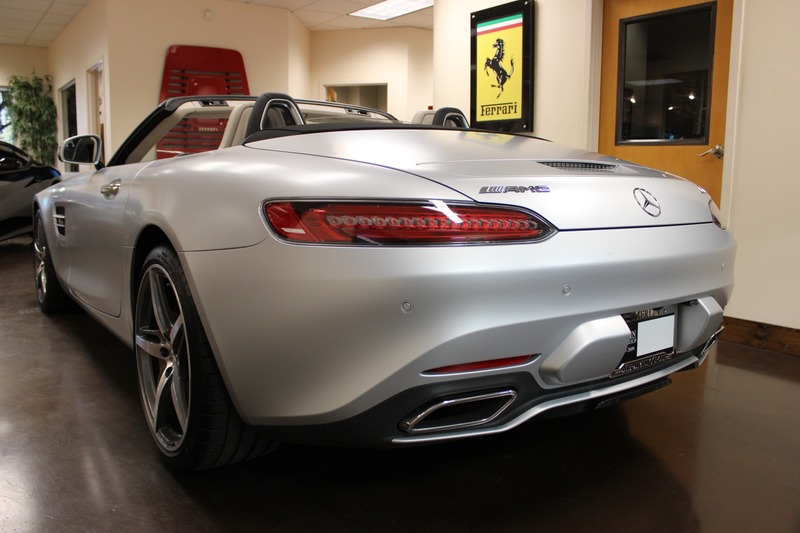 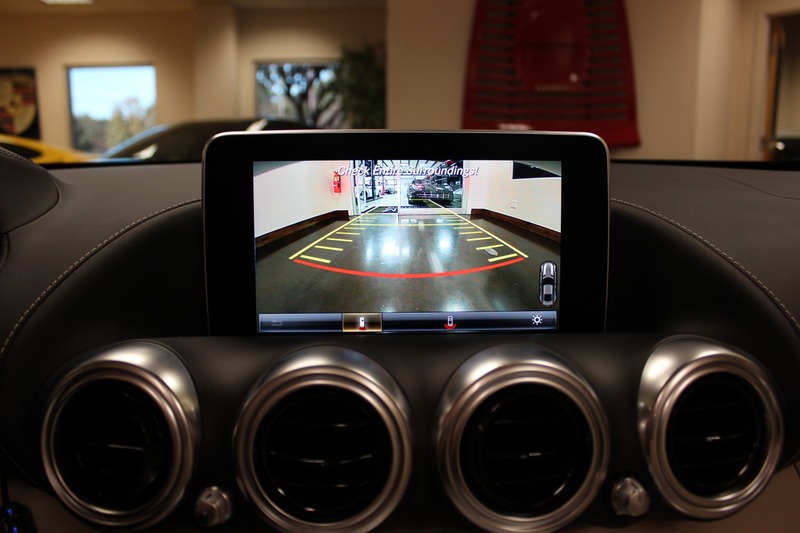 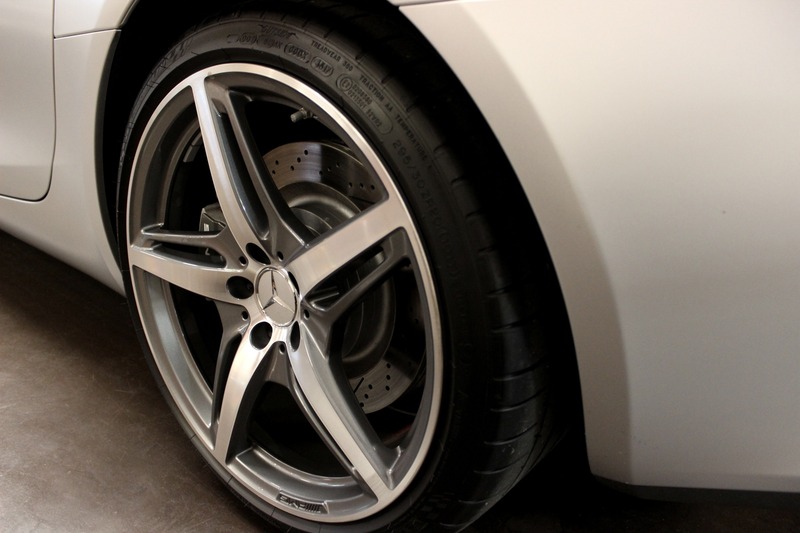 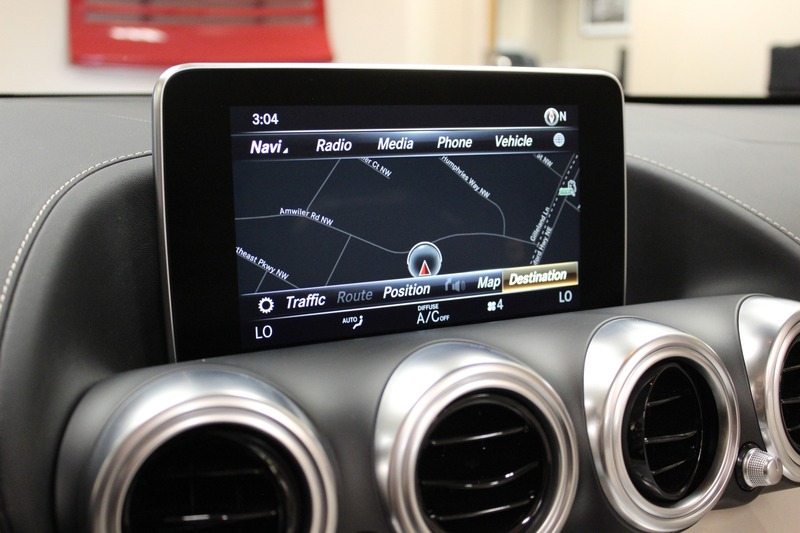 YOU will have the best looking Matte Silver AMG Roadster in your area! 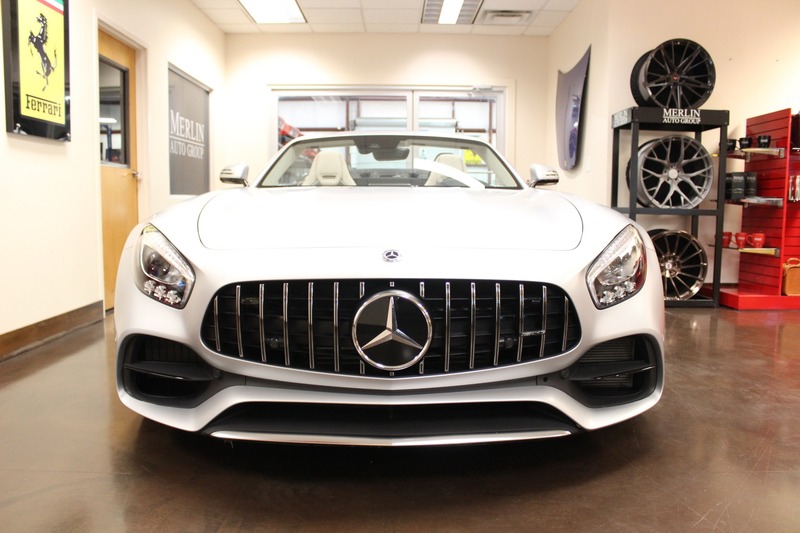 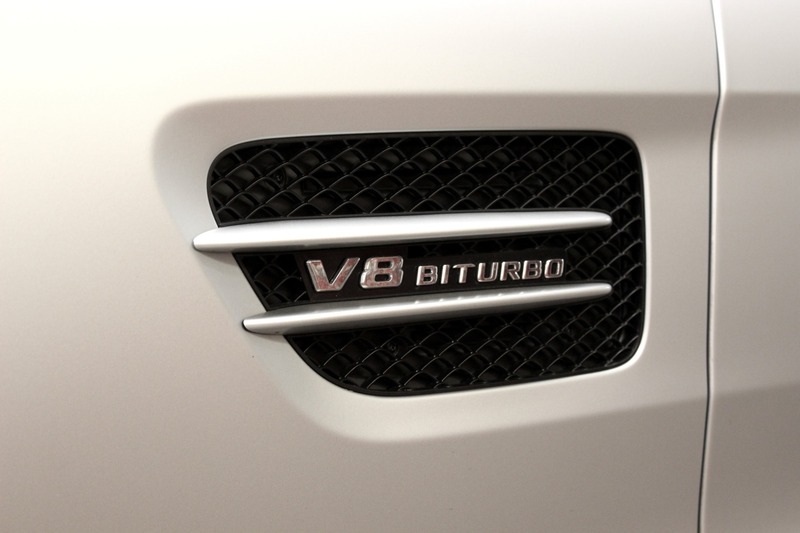 More horsepower than you can handle; a stereo that you won't turn all the way up and one of the best V8 AMG engines around. 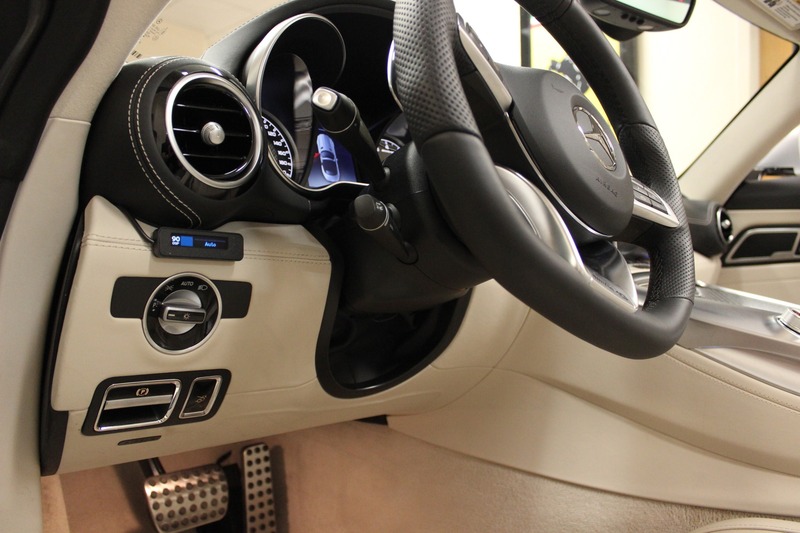 You're wrapped in leather and carbon fiber. 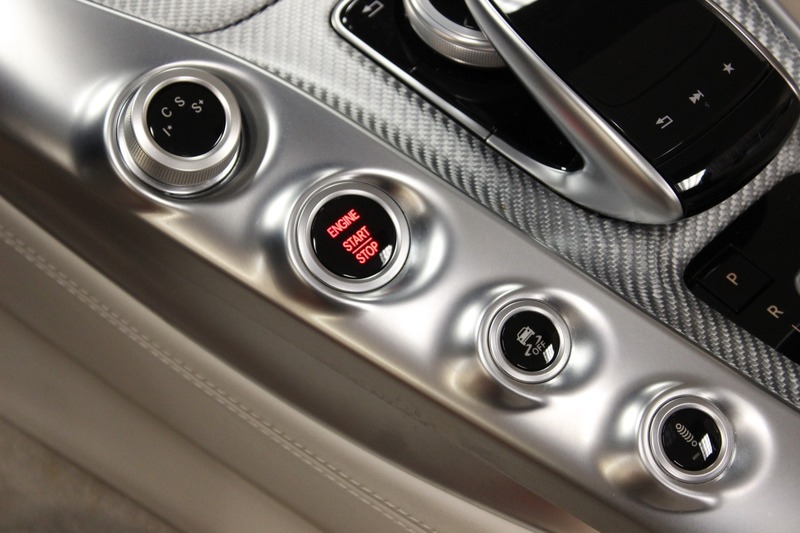 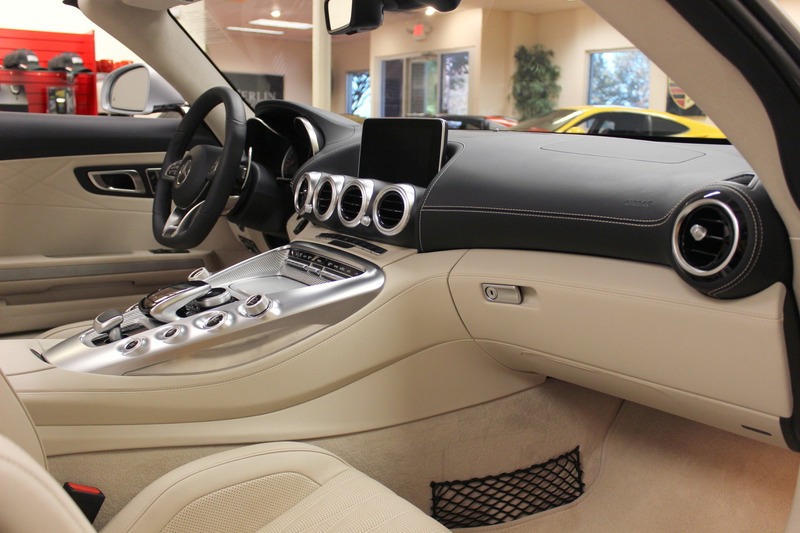 If it's chilly, drop the top and turn on the heated seats and heater. 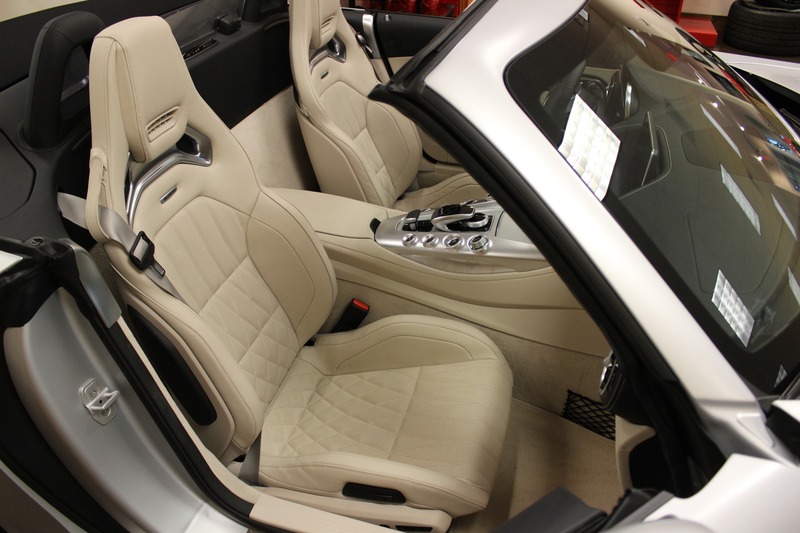 If it's warm, drop the top and turn on the ventialted seats and the a/c. 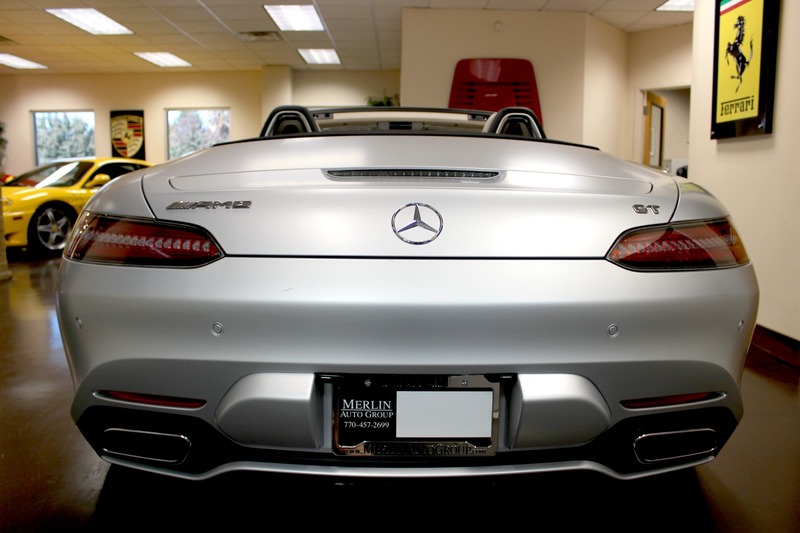 Go to the beach, the mountains or just the golf club and Whole Foods!. 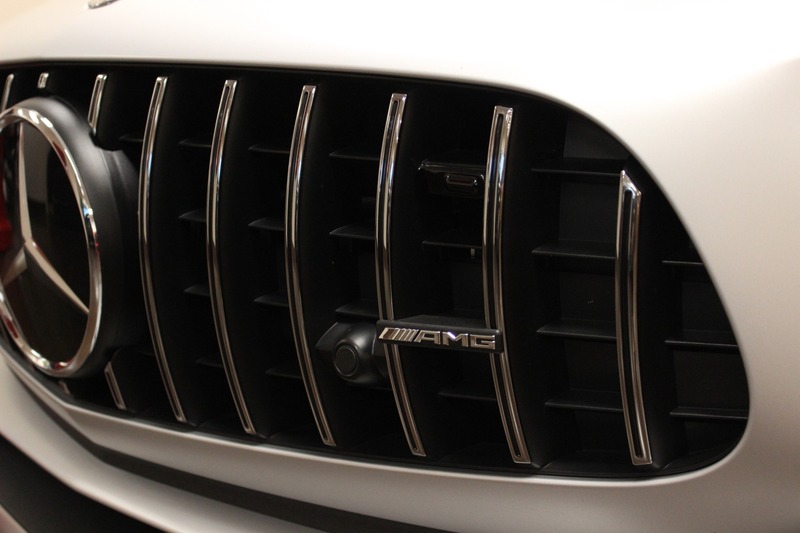 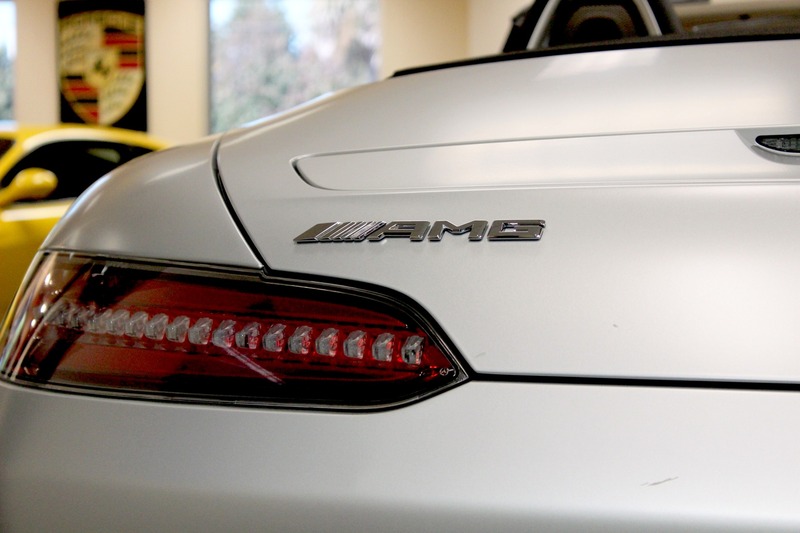 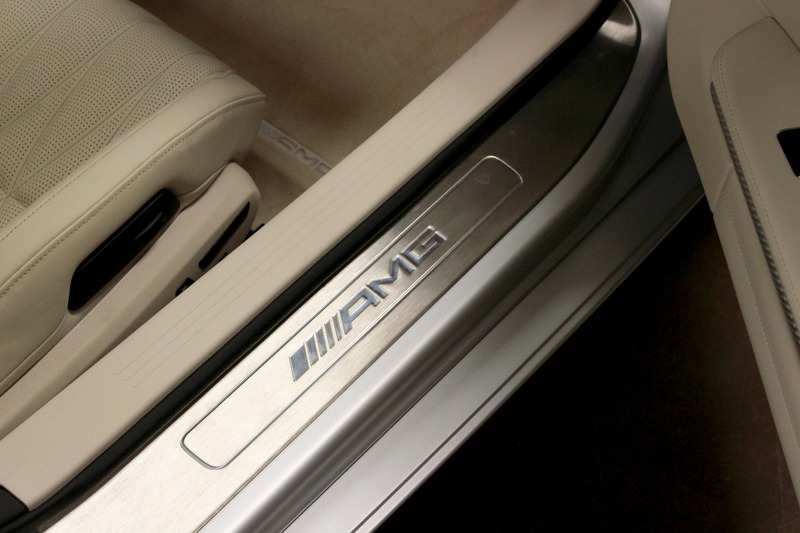 Look close at the photos: there is a teeny tiny scratch on the rear bumper near the AMG logo. 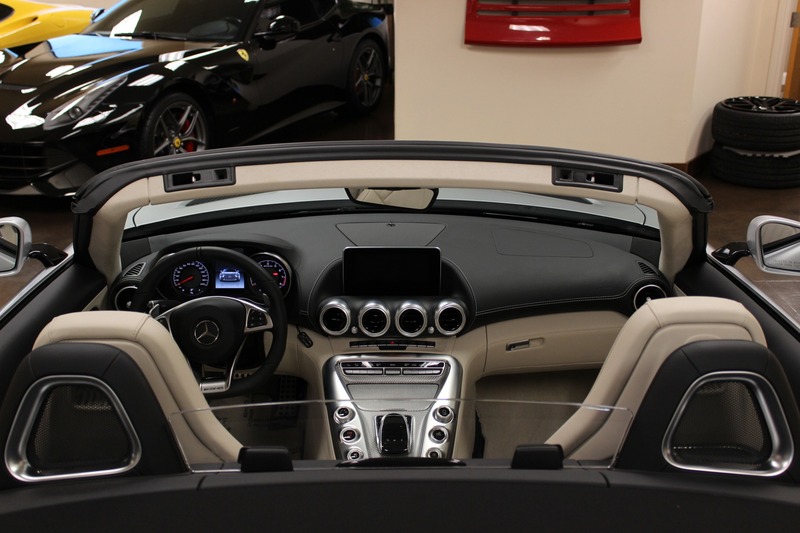 It's in our showroom ready for it's next rider to enjoy it. 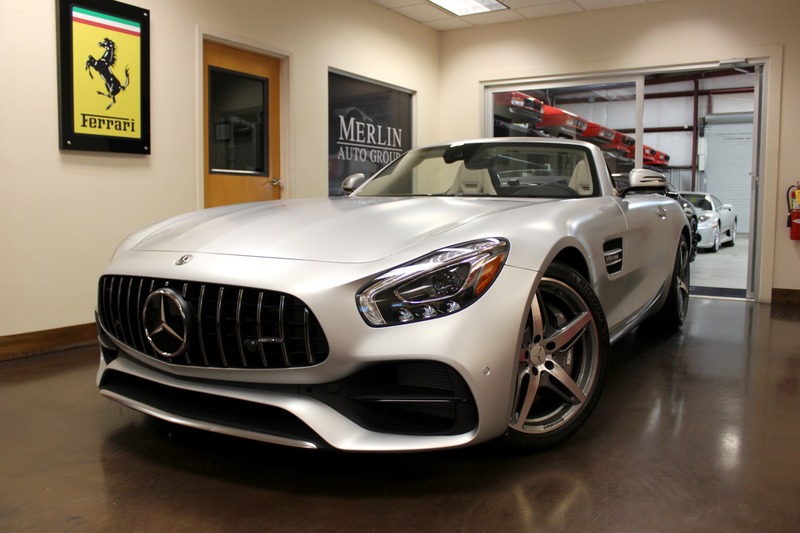 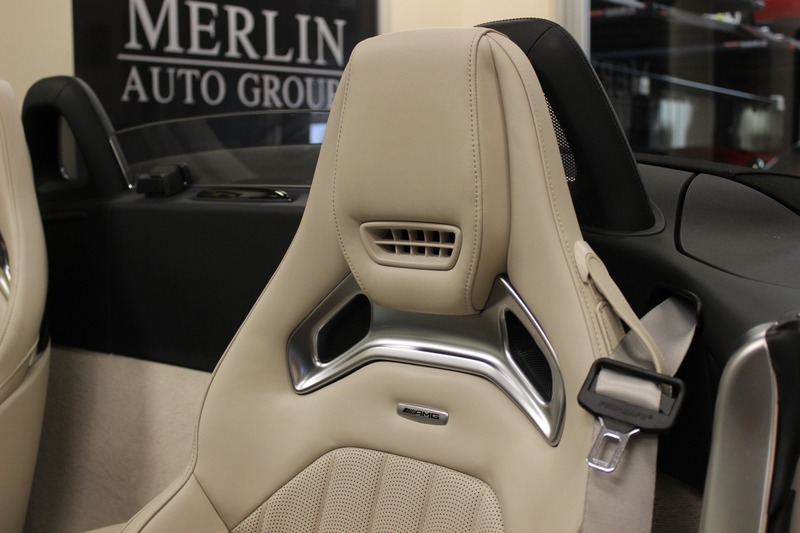 Contact Merlin Auto Group to arrange a viewing, thank you again for looking at our 2018 AMG.